Spanish Jewelry House “Carrera y Carrera” many years fill the orders of Spanish royal family and this fact directly influenced to the last collection of beautiful wedding rings. Jewelry designers embodied in them royal attributes – tiaras. 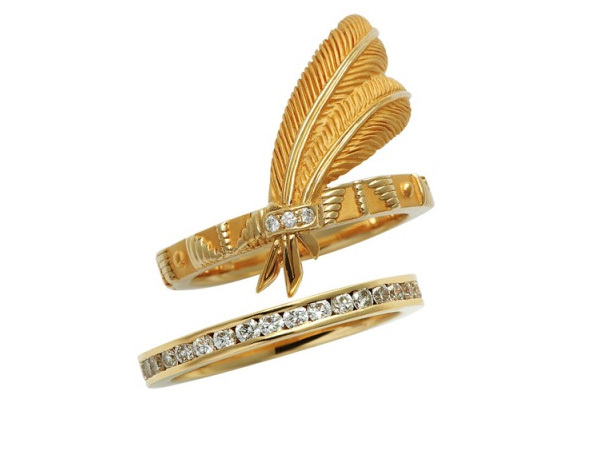 Collection “Mi Princesa” consist of 6 rings in the form of tiaras – Spanish, French, Russian, Greek, Indian and Japanese. 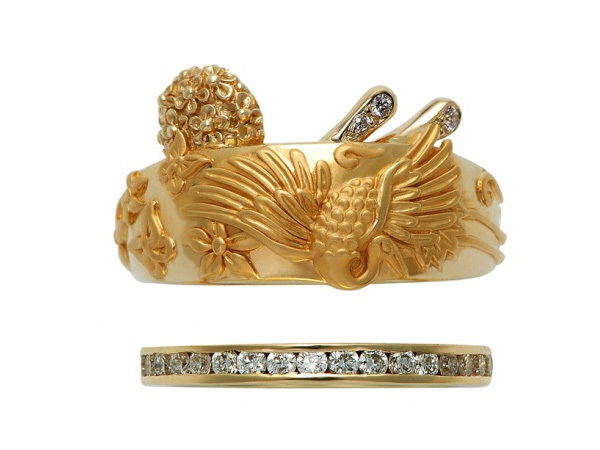 They are lavishly decorated with miniature elements of nature and are made of matte and polished gold. 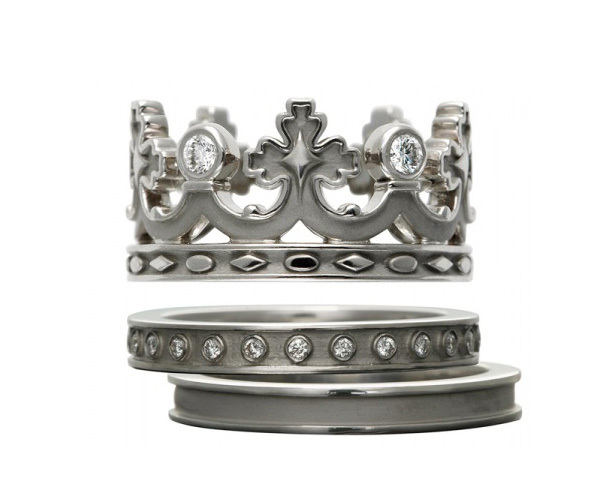 Each tiara has a base – a narrow ring with diamond pave, which is the wedding ring as itself. 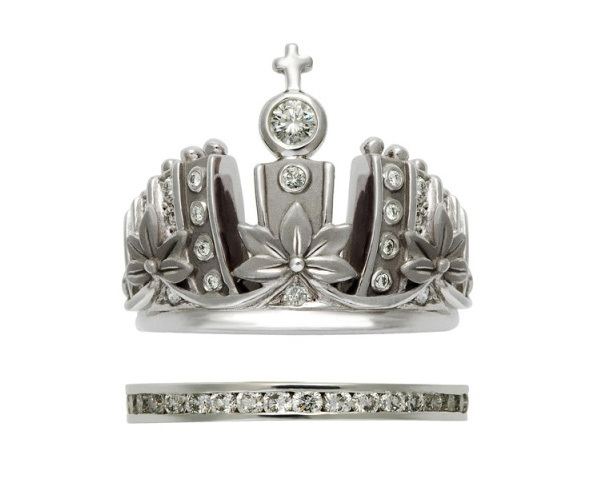 Ring in the form of tiara should be presented to engagement. 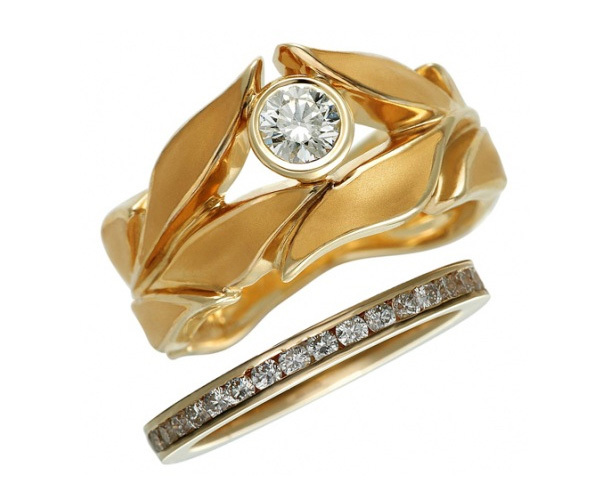 Dividing presentation of wedding ring into two parts, “Carrera y Carrera” brought into this ritual is truly a royal romance. Those are all so beautiful. I can’t wait to tell my friends about these creative and unique designs at my next jewelry party. hello!I think you are right. Go to a smaller local jeweler and have it custom made. 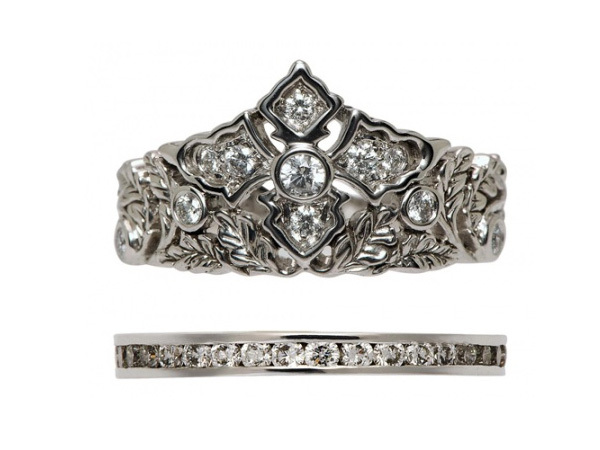 It is so much more special when you conceived the ring yourself. My husband designed my ring and while the diamonds are small, it’s still absolutely beautiful. Unique is highly important. This is summed up in one word: perfection! These are beautiful. I wish my boyfriend could get a hold of one of these for when he proposes.